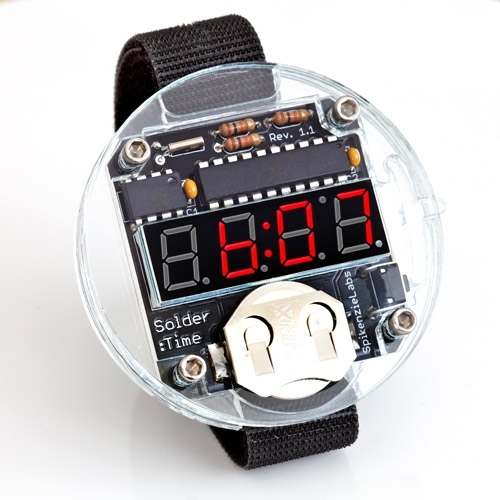 The Solder : Time watch kit. An instant hit introduced at Maker Faire Bay Area in May 2011. 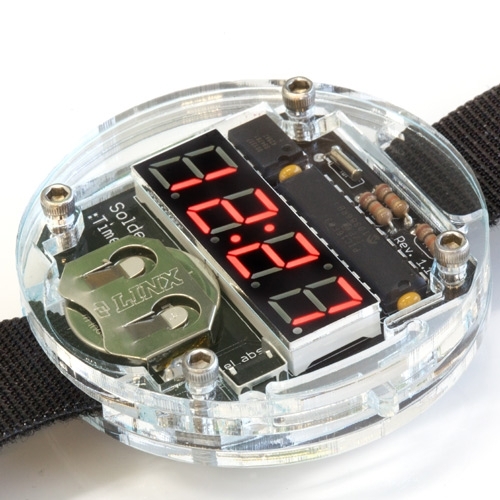 Easy to solder real time watch kit with a unique laser cut acrylic casing. 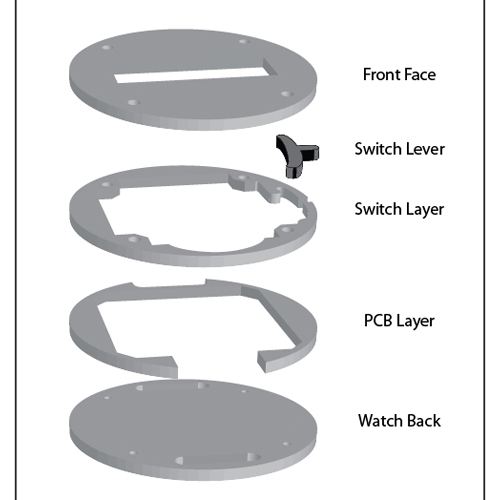 Four individual acrylic parts cut to fit the internal PCB, battery and switch perfectly. Included is a velcro wrist band. After soldering the Solder:Time, the watch is built by stacking the acrylic parts with the PCB and holding it together with the included screws. 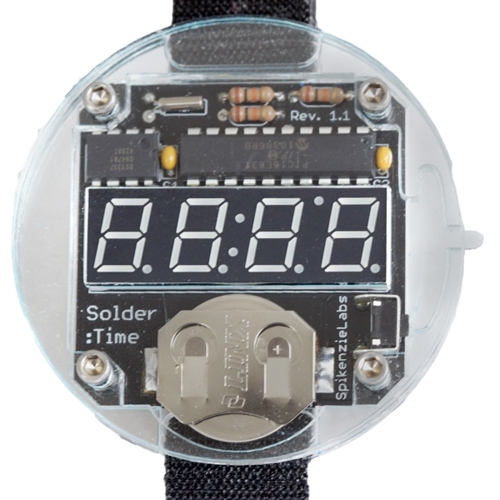 The Solder:Time was designed to be a wrist watch. It doesn't have to be limited to living on your wrist, you could also use it as a badge or desk clock. Stand alone project - no computer or other programmer required. Just solder it and it's ready! Jumper (on bottom) for always on use. Can be also be worn as a badge with optional badge clip. 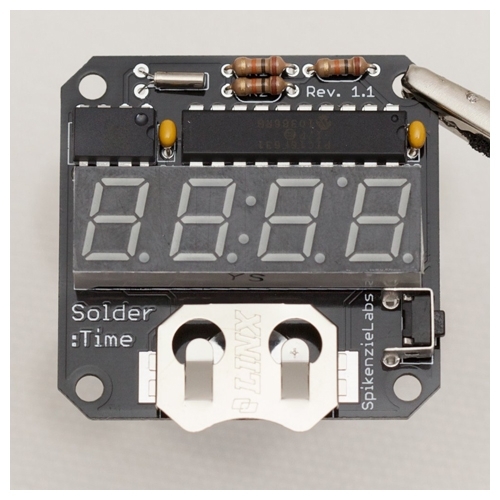 Long lasting battery, with special LED lighting method and very low power processor sleeping. Easy to use Velcro type wrist band (long enough for huge wrists, trim-able for smaller ones.